InvestingChannel: Huawei Profits Soar in 2018; Chairman Tells Washington To "Drop Its Loser Attitude"
Huawei Profits Soar in 2018; Chairman Tells Washington To "Drop Its Loser Attitude"
When it first launched its global lobbying campaign to shut Chinese telecoms giant Huawei out of the West, Washington was probably, in retrospect, feeling a little overconfident. After a ban on selling American-made components to ZTE (another Chinese telecoms giant) nearly precipitated the company's collapse, a coordinated smear campaign - including the arrest of one of the company's top executives, a pair of criminal indictments, and a ban on selling its products in the US - designed to weaken Huawei's 5G leadership should at least have curbed the company's torrid revenue and profit growth. Unfortunately for rival US telecoms giants, America couldn't have been more wrong, as the Wall Street Journal pointed out. Though Huawei is a privately held company, it has made a habit of releasing earnings figures. And the numbers from 2018 are simply staggering. Despite being effectively shut out of the US and several of its allies in the "Five Eyes" intelligence alliance (Australia and New Zealand), Huawe's revenue for 2018 rose 20% to 721.2 billion yuan ($107 billion) from 603.6 billion yuan a year earlier. Meanwhile, net income for 2018 rose 25% to 59.3 billion yuan. 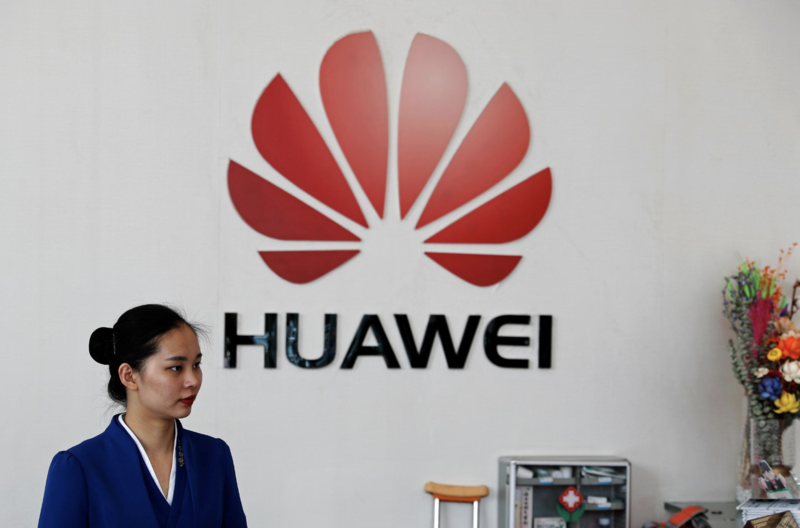 Heaping more embarrassment on the US, the EU, one of Washington's staunchest "allies", earlier this week refused to call for a ban or any restrictions on Huawei's products. This after the UK and Germany had declared Huawei's telecoms equipment suitable to be used in the country's soon-to-be-built 5G infrastructure. Although Huawei saw a slight dip (1.3%) in its carrier business, Huawei rotating chairman Guo Ping said this dip was expected, as company's hold off on repairs and upkeep before breaking ground on their new 5G networks. The company recorded rapid growth in its consumer business, which includes smartphones, and its enterprise cloud-computing business. In a major milestone for the company, its smartphone shipments rose 35% last year to 206 million units, making Huawei the world's second largest supplier of handsets. 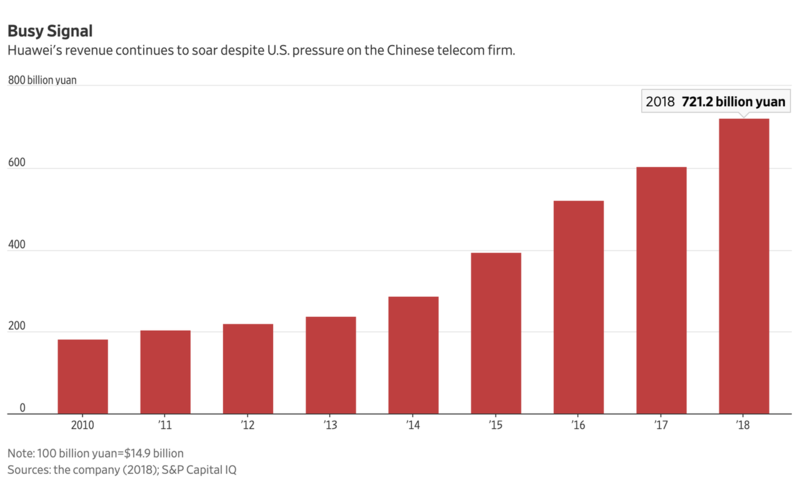 Despite Washington's 'national security threat' warnings, Huawei won 30 new 5G contracts from carriers in 2018. The company recently won contracts from customers in South Korea and the UAE. Guo, who has never shied away from mocking the US, celebrated the company's numbers by lobbing yet another insult Washington's way, as Reuters reported, Guo said he hoped the US government would drop its "loser's attitude" and drop its smear camapign. "The U.S. government has a loser’s attitude. It wants to smear Huawei because it cannot compete against Huawei," Guo Ping said. President Trump is going to love hearing that.